About: Today, the area regarded as the Wicklow Uplands is mostly included within the Wicklow Mountains National Park. While permanent inhabitants of this area may be as rare as the Abominable Snowman, there is nonetheless a rich social history story to be told. This ranges from the prehistoric period through to the centuries of active resistance to English rule. 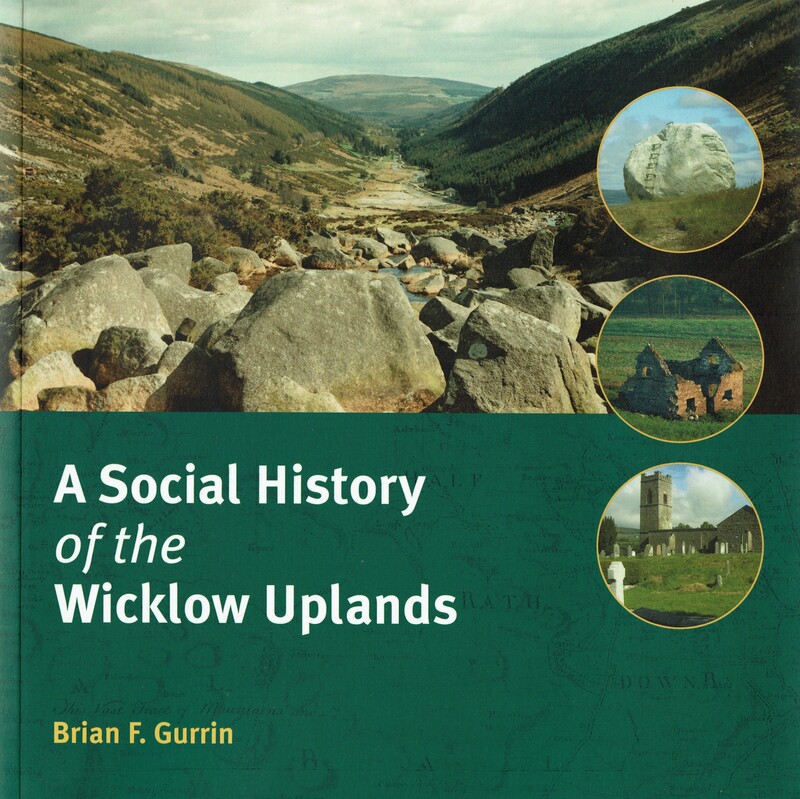 This study of the history and heritage of the Wicklow Uplands was undertaken at the request of the National Parks and Wildlife Service (Eastern Division). Contents: Figures and Tables – Abbreviations – The Author – Acknowledgements – Ice Sculptures – Wicklow’s Earliest Inhabitants – Early Human Sculptors – Gaeil is Gaill – War and Peace – New Times, and a New County – From Restoration to Union: The Restoration; The Late Seventeenth Century; The Protestant Ascendancy – War, and a New County – Final Thoughts – References – Bibliography. Extra #1: Includes numerous illustrations, photographs and maps. 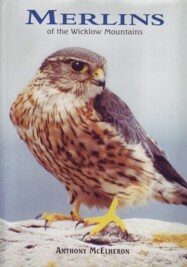 Extra #4: Visit the Wicklow Mountains National Park website. About: During the period 1938-1975, J.B. Malone wrote almost 1,000 articles on rambling, walking, cycling or driving to and in the Dublin and Wicklow Mountains. Every article had a detailed sketch map of the route, drawn by himself. He was a leading figure in the establishment of the Wicklow Way in 1982. 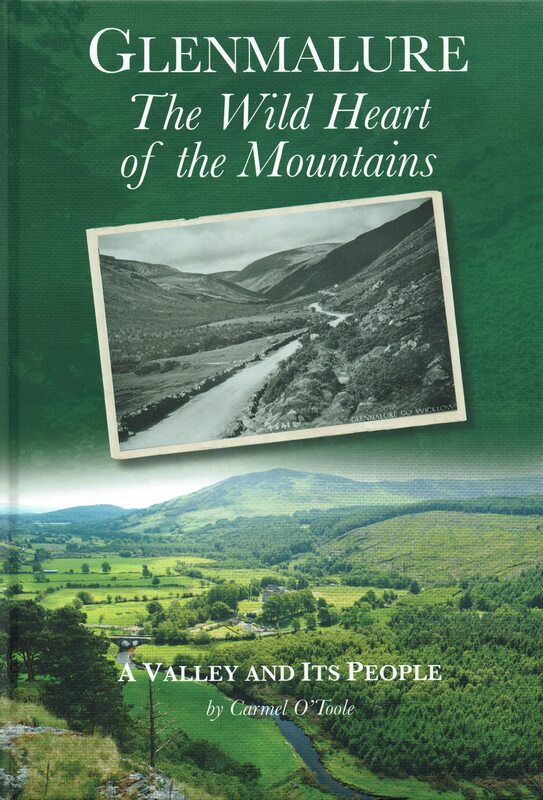 This book indexes all Malone’s articles published in the Evening Herald and makes it easy to locate his visits to individual places, mountains, hills and valleys. Contents: Foreword from Mayor Fintan Warfield – Introduction — Listing of Evening Herald Articles 1938 – 1975 — Index – Mountains — Index – Some Popular Locations – [List of Maps from Evening Herald articles drawn by J. B. Malone] Kilmashogue and Three Rock Mountain – Glenasmole — The Hellfire Club – Djouce – Lugnaquilla – Seahan — The Big Sugarloaf – Glendalough — Saggart Hill — Table Mountain. 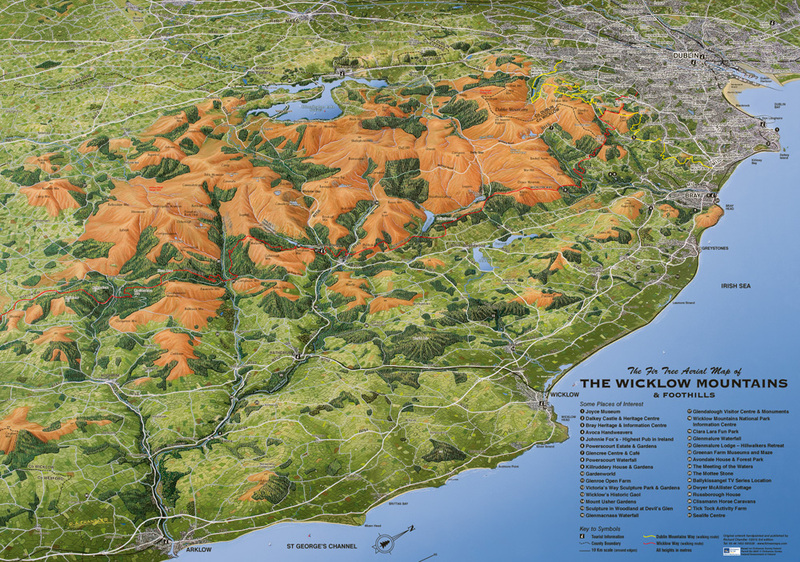 WW Connection #1: Many of the routes described are located in West Wicklow. Extra #1: Includes ten sample maps. Publisher / Place of Publication: The O’Brien Press Ltd. / 20 Victoria Road, Dublin 6. About: This is the first chapter in a book which describes seven dramatic journeys taken from Irish history and mythology. In this chapter the author utilises his knowledge of mountaineering and of the outdoors to pen what could be called the definitive account of the actual flight of Red Hugh O’Donnell and Art O’Neill through the Wicklow Hills to get to Glenmalure. In 1592, they had just escaped from Dublin Castle and were planning to join up with Fiach MacHugh O’Byrne. The escape and flight is commemorated in an annual ‘Art O’Neill Walk’ / ‘Art O’Neill Challenge’, which starts at Dublin Castle and ends in Glenmalure. Extra #3: Includes two maps and some colour photographs. Extra #4: Link to the Author’s website. Extra #6: Link to the Art O’Neill Challenge website. Publisher / Place of Publication: Royal Irish Academy / 19 Dawson Street, Dublin 2. About: This is a scientific paper which looks at the reasons why mountain bogland is sometimes subject to slippage and landslide. The authors use two locations in North West Wicklow as case studies in an attempt to define the characteristics of peat and the underlying geological conditions that make land slippage likely. The upland locations studied are Kilbride and Silsean (also spelled Shileshawn). Extra #1: Includes map, graphs and photographs. About: The Wicklow Mountains is the backdrop to a family saga involving three generations of women. 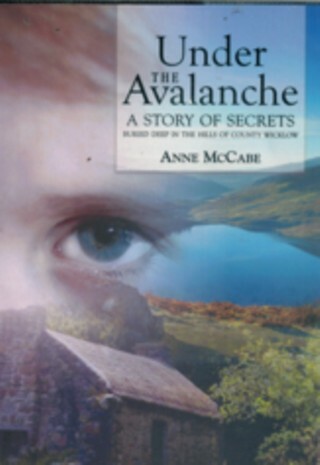 An avalanche entombs a family in an isolated dwelling on the hillside. The ghost of a newly born baby inhabits the narrative of this novel from then on. But what other secrets remain to be uncovered? WW Connection #1: The setting of this book is in the Wicklow Mountains, albeit in a location unidentifiable. Extra #4: Link to the author’s Facebook page. 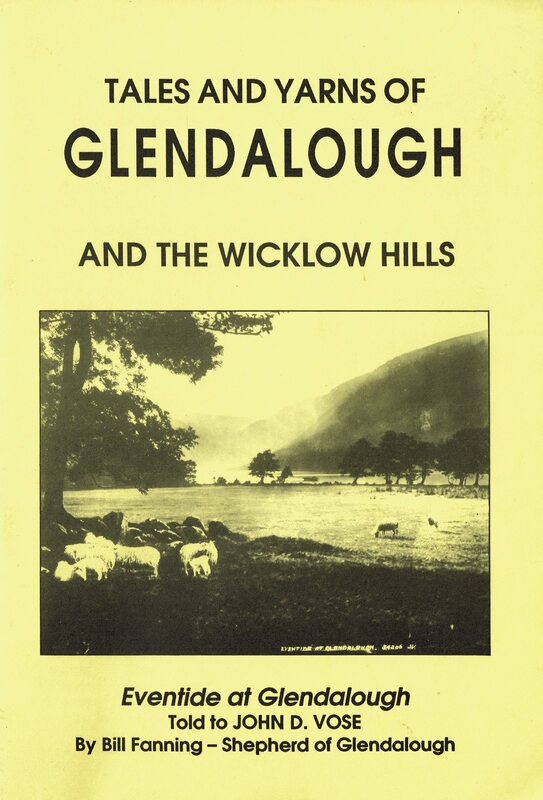 About: The classic walking guide to the Wicklow Hills. The author was well known for his ‘Open Air’ series of columns in the Evening Herald newspaper and a TV programme, ‘Mountain and Meadow’. Chapters: Ways and means — The Western quarter (1) Around the lake — (2) Over Church Mountain — (3) Glenbride to Snugboro — (4) Along St. Kevin’s road — (5) Climbing Cleevaun — Heather deserts (1) The military road — (2) Two mountain lakes — (3) On Calary edge — (4) Djouce and the coffin stone — Glendalough and Glenmalure (1) From glen to glen — (2) Crossing Borenacrow — (3) The proud mountain — (4) Queen of the south — (5) Lugnaquilla from Glenmalure — Glen Imaal and westward (1) The round of Imaal — (2) West of Baltinglass — (3) Lugnaquilla from Imaal — The deep south (1) Aghavanna to Avoca — (2) South to Shillelagh — (3) Rathvilly to Aghavanna — (4) Croghan country. Extra #1: includes illustrations, maps and index.